Is your paperwork expanding beyond its designated pile? 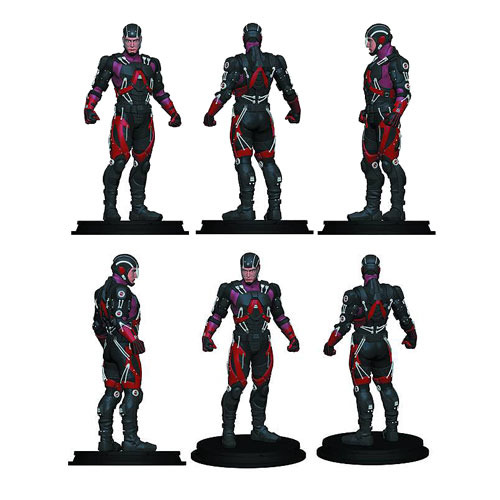 Shrink it back down to secured size with the Arrow TV Series Atom Statue! Based on Ray Palmer's design from the TV's Arrow, The Flash, and DC's Legends of Tomorrow, this Previews Exclusive is highly detailed and expertly painted. The resin statue stands 8 3/4-inches tall and features an incredible likeness of actor Brandon Routh. The Atom stands ready to defend your desk, but he probably won't be able to shrink your workload...still developing that technology. Limited to 2,000 pieces. Ages 18 and up.